SUVs have come a long way since the 1951 Buick El Kineno. It was a concept car that can actually be labeled as the first ever sport-utility vehicle. Even though it doesn’t resemble current models, it was rugged and came with a winch and two spare tires mounted directly into the rear quarter-panels. 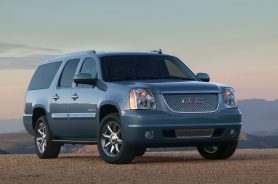 It never really gained the popularity of today’s SUVs, but we’ll pay tribute to the sixtieth anniversary of its innovation and foresight by giving you the list of the best SUV of 2011, full-size SUVs that is. Information on all these top models was taken only from research by top automotive reviewing agencies at Car and Driver, Consumer Reports, Edmunds, and Motor Trend. 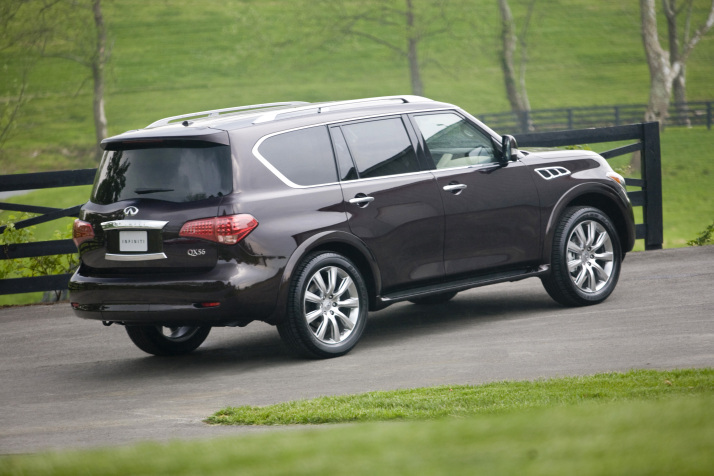 The QX56 is one of the large crossovers that displays a nice combination of strength, luxury, and safety. Its 5.6L V8 engine can provide a max towing capacity of 8,500 pounds properly equipped, and it’s aided by a tow/haul mode for the seven-speed automatic transmission with manual shift control and rev-matched downshifts, as well as automatic-leveling rear suspension. Not only does it have a load of safety features, its braking also brought this hulking monster to a stop in an astounding 123 feet, which is better than many sedans. Folding second and third-row seats bring max cargo space to 112 cubic feet, and the optional Hydraulic Body Motion Control systems keeps body roll to an absolute minimum. A luxurious interior puts very sweet icing on this cake. The LR4’s boxy style may not appeal to all people, but its power and spacious, luxurious interior should appeal to all buyers. The 5.0L V8 and full-time four-wheel-drive system can give a max towing capacity of 7,700 pounds, and the fully independent suspension utilizes electronically-controlled air springs to adapt to just about any terrain change. The interior features plush, high-quality interior materials styled in a modern look and feel. The boxy style and large windows make for great visibility. Responsive steering keeps it fairly maneuverable, even in tight spots, and the ride remains quite comfortable. When it comes to large SUVs and max seating capacity, it doesn’t get much better than the nine-passenger Yukon. It comes standard with a 5.3L V8 and optional four-wheel drive, but if you’re willing to spend the extra coin you can upgrade to the Denali and get the 6.2L V8 and up towing capacity to 8,400 pounds. Cargo capacity can max out at 109 cubic feet, not bad for the size SUV it is, but dealing with folding or removing the bulky third-row seat can be a bit exhausting. Still, the price is right for a full-size sport-utility that offers a quiet cabin, smooth suspension, and a cabin built with high-quality materials and a simple control layout. Despite the lack of four-wheel drive, the Navigator’s 5.4L V8 can provide an impressive towing capacity of 9,000 pounds properly equipped. It also boasts a class-leading cabin with virtually every high-end feature available; it’s highlighted by Ford’s voice-operated Sync system. 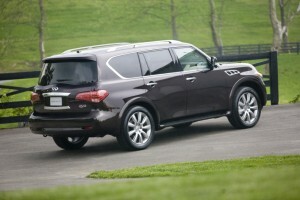 Heated ventilated seats, power-retractable running boards, and a backup camera only enhance the coddling. 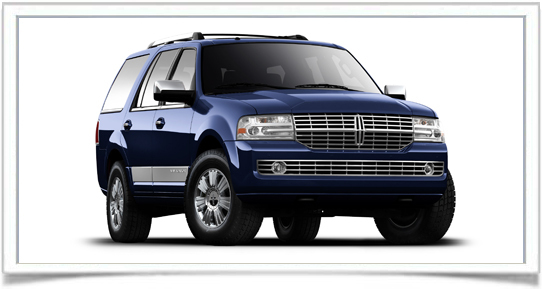 Being a luxury vehicle, the ride quality is commensurate with its stylish features. It boasts a hushed cabin, smooth shifts, and supple suspension. The power third-row seat also makes increasing the cargo capacity to its maximum 104 cubic-feet much easier than other models.